Generalized Anxiety Disorder is characterized by excessively worrying about numerous things on a constant basis. Individuals with this disorder tend to have unrealistic views and have a difficult time controlling their worries. In many instances, anxiety can be triggered for no apparent reason. Individuals with this disorder tend to anticipate disaster, and feel as if their anxiety is beyond their control. Women are twice as likely as men to develop this disorder. 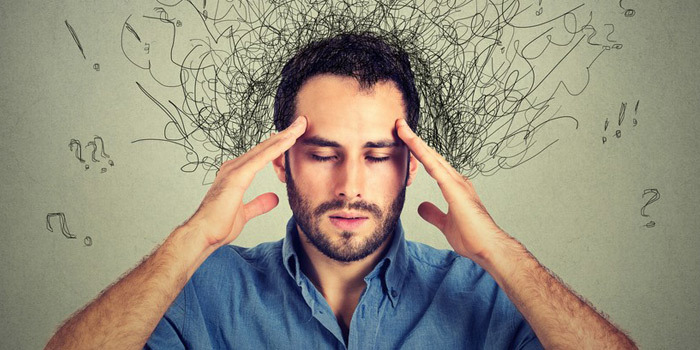 Symptoms of Generalized Anxiety Disorder include excessive worrying, restlessness, irritability, muscle tension, headaches, sweating, difficulty concentrating, nausea, fatigue, trouble sleeping, trembling, and being easily startled. In many instances, these individuals experience pain attacks, clinical depression, and even drug and alcohol misuse. The cause of this disorder is unknown; however there are several factors that can contribute to individuals developing this disorder. These factors include genetics, brain chemistry, and environmental stresses. With regards to brain chemistry, individuals with this disorder have poor nerve cell connections. These pathways to the brain do not run efficiently, causing an individual to experience mood or anxiety problems. Environmental stresses refer to trauma or stressful events in an individual’s life, such as abuse, which may have contributed to developing this disorder. When treating this disorder, it is important to consult a psychiatrist, psychologist, or mental health professional as these professionals are well trained in treating this disorder. Treatment options include medication and therapy. Medication can help to decrease the symptoms of anxiety, such as restlessness and muscle tension. Cognitive behavioural therapy refers to recognizing and changing your thoughts and behaviours which tend to cause you to feel anxious. Some therapists help individuals cope with their anxiety by teaching their patients to think more realistically in order to control their worrying tendencies. Relaxation techniques such as meditation can also help relieve stress and clear the mind. Generalized Anxiety Disorder would qualify under the disability section entitled mental functionsas it can impair your daily living. Mental functions required for everyday life include adaptive functioning, memory, problem solving, goal setting, and judgment. Please note that a restriction in problem solving, goal setting, or judgements that markedly restricts adaptive functioning would also qualify. This restriction can be either all of the time, or for most of the time. Patients who are considered as markedly restricted include being unable to leave the house due to anxiety either all the time or at least 90% of the time, despite medication or therapy. They may also require daily support and supervision due to difficulties coping with their anxiety. How To Apply for Disability Tax Credit for Generalized Anxiety Disorder? To apply, our experts will assist you in filling out form T2201 where you will need to get your medical practitioner to complete this form. This will ask your doctor to describe how you are impaired by your disability. It is important to be descriptive in this section as a patient can be affected in a variety of ways by Generalized Anxiety Disorder.